Product categories of 12MM Key Switches, we are specialized manufacturers from China, Key Switch, Electrical Key Switch suppliers/factory, wholesale high-quality products of Key Lock Switch R & D and manufacturing, we have the perfect after-sales service and technical support. Look forward to your cooperation! 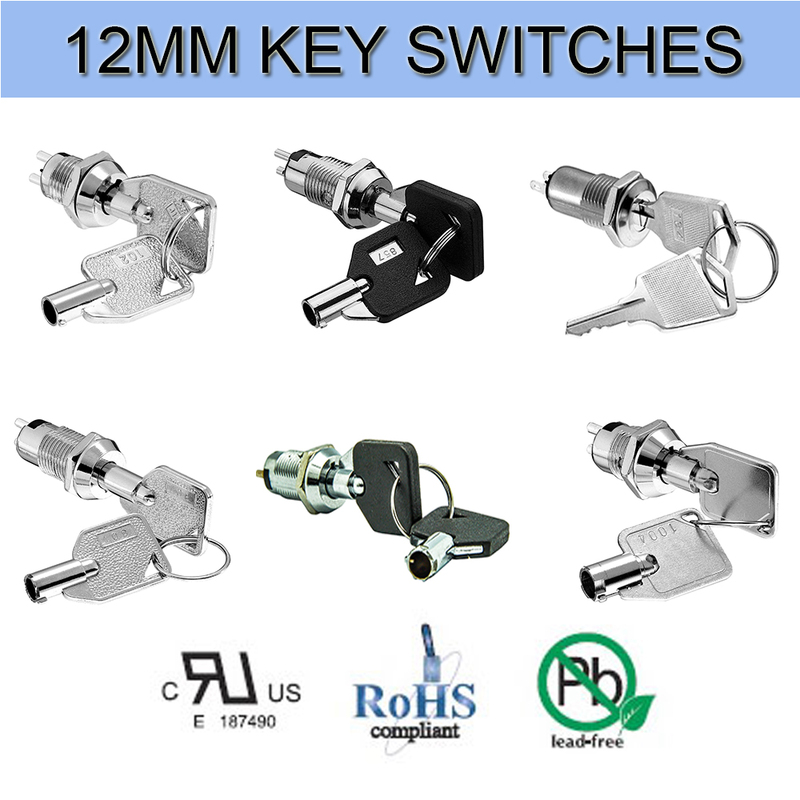 12mm Key Switches including Electric Key Switch, Key Lock Switch, CAM Lock , belongs to power lock. It can save space and easily operate with the "innovation and convenience" design concept. The whole series products are widely used in human-machine panel so it can greatly reduces the space of the control panel. Meanwhile,its shape is different from the other switches,for example Metal Switches, Automotive Switches, Push Button Switches. Production control of 12mm On Off Key Switch: In order to provide competitive price, quality and stable delivery cycle of the whole series of 12mm power lock switches, the company has the world's advanced CNC production machine and a number of fully automated processing equipment and has successfully imported Toyota lean production system. It all adopt the One-stop operation and automated production assembly from development and design,mold manufacturing, zinc-aluminum alloy die-casting, plastic injection, stamping, lathe polishing, baking varnish, product assembly, to quality assurance inspection, etc. As a result, we have accept Japan, Europe and the United States hardware construction industry, as well as large European and American companies commissioned to undertake the manufacture of various locks and related hardware parts. Diversification of 12MM power lock products: The whole series of power lock products have complete functions. In order to improve the safety and confidentiality of customers' using experience, we could offer customers with different keys to achieve the effect that the keys cannot open each other.